60 Minutes. One Goal. Can You Escape? The Escape Room craze is now sweeping the country, however what are we all about? The aim is simple: to have fun and escape before your time runs out! Working as a team, you have 60 minutes to solve clues and puzzles, use skill, uncover secrets and to complete all the tasks in hand as you progress through the gripping story. Deliverance is defined as “the action of being set free”, and that is exactly what we are about, with our escape rooms being an immersive story driven experience. First off, you have the physical aspect with regards to trying to be set free from the locked room you find yourself in through the completion of puzzles and tasks. Secondly, we aim to set you free from the real world, by allowing you to immerse yourselves in our rooms for the duration of the experience, as you become an integral part of the story. Looking to buy someone a gift they will never forget? Click the link below to select one of our amazing gift vouchers! 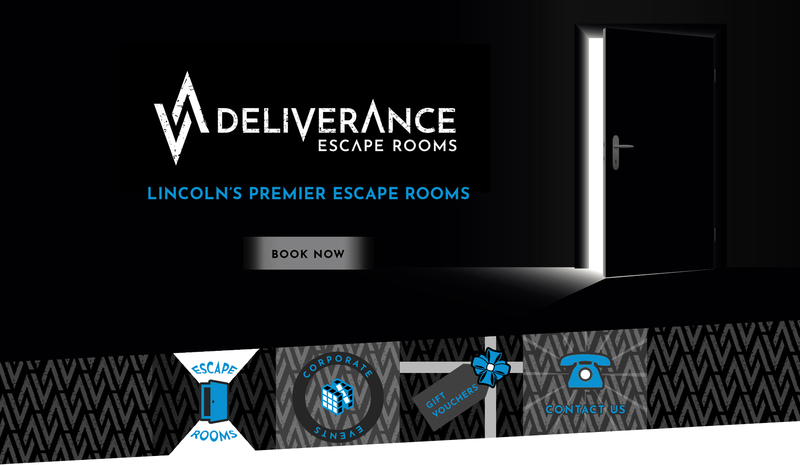 Our vouchers can be used towards all of our escape rooms, providing your friends or family with the ideal opportunity to experience new levels of fun and excitement!